Charges have been filed against a man accused of firing a shot into a car in traffic on Interstate 95 in Philadelphia earlier this week. 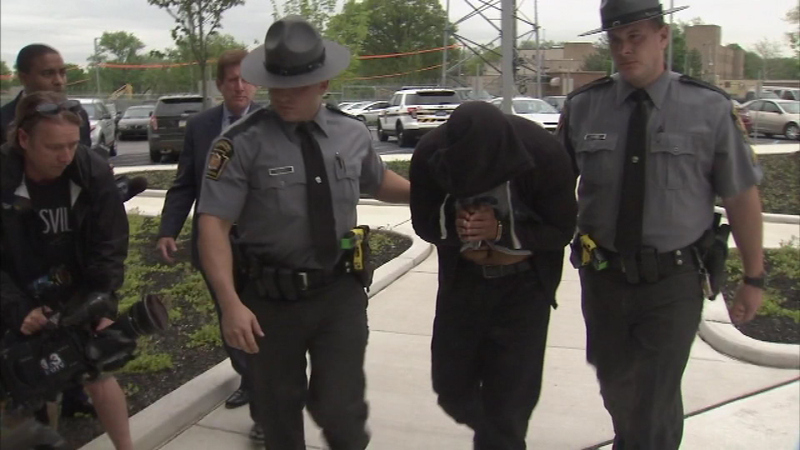 PHILADELPHIA -- Charges have been filed against a man accused of firing a shot into a car in traffic on Interstate 95 in Philadelphia earlier this week. Police identified the man Thursday night as Anthony Thomas Gilbert, 33, of Upper Chichester, Delaware County. Gilbert is charged with aggravated assault, possessing instrument of crime, recklessly endangering another person and criminal mischief. Gilbert denied firing the shot to Action News on Thursday, but then said, "I didn't do it on purpose." Police believe Gilbert opened fire shortly before 6:30 a.m. Tuesday in the northbound lanes of I-95 near the Girard Point Bridge. Now in police custody, Gilbert gave us conflicting statements telling Action News he didn't fire the shot, but added that everything that happened was an accident. "I didn't fire the shot. I didn't fire it on purpose. I did not fire a shot on purpose. Everything that happened was an accident," Gilbert said. Police say the 38-year-old victim was traveling in heavy traffic when the suspect came up fast behind him and started tailing the driver. The victim was eventually able to move over one lane. "At that time, words were exchanged and the suspect produced a handgun, which he waived at the victim with the window down," Pennsylvania State Police Sgt. James Hennigan said. The victim told police he heard a gunshot and felt the impact as a bullet hit the right rear wheel of his car. Police later that day put out a composite sketch of the suspect, and a tipster called them Wednesday to report he or she had been involved in another incident with a man matching the sketch. "This person was possibly involved in another incident that the person who called in the tip the day before. We're still investigating that incident," Hennigan said. Through investigation, police developed Gilbert in custody as a suspect and picked him up in South Philadelphia Thursday morning. The early Tuesday morning shooting came a month after state police arrested a man for allegedly shooting into a car on the Blue Route. Pennsylvania State Police are say a shot was fired during a road rage incident on the Blue Route in Montgomery County.